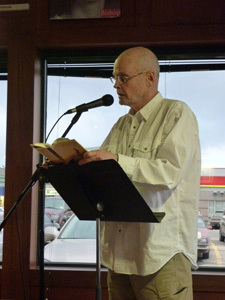 Malahat volunteer Heike Lettrari talks with David Carpenter, creative nonfiction judge for the 2015 Open Season Awards, about the writing life and what he's looking for in submissions for this year's contest. We live in a world now that rewards multi-tasking, and that means a lot of tweeting, Facebook, emails and various other responses to the blogosphere. It's important, of course, to stay in touch with the vital people in your life, but when you're writing, the time comes when you can either network or work; you can't do both. If you're serious about writing, simplify your life. Allow yourself to focus on the writing in a quiet room free from the come-hithers of the outside world. If you are multi-talented and drawn restlessly to a little bit of this and little bit of that, you may never get to see one of your books on a library shelf or a bookstore. Allow your writing to occupy the very centre of your life and the rest of life should take care of itself. I was perusing Yasuko Thanh’s blog and realized it was timely to stumble across her response to being asked to judge the fiction entries for last year’s Open Season Award. After the initial joy and elation subsided, she had one dilemma where she questioned her suitability for being chosen to judge, and then a second: “an ethical one. Who was anyone to judge? What place did contests have in the art world anyway? Who did we think we were, to pit peer against peer?” And later, a series of questions followed: “What qualified me to judge, not in a rhetorical way? I was a writer. Maybe, the assumption was because I wrote stories, I could judge stories, or because I wrote stories, I understood stories. What made them tick. Hell, no.” What was your response to being asked to judge for this contest? Did you have a similar wave of elation, followed by critical self-examination? My response to being asked to judge a literary nonfiction contest was Yes. It struck me as a stimulating challenge. Perhaps Yasuko Thanh, in the blog you sent me, is being unduly modest, or perhaps she really is a poor critic of other writers' work. But some readers read critically. They gradually become alert to what makes stories work and how stories fail to deliver, at least within the strictures of their own literary passions. They never achieve the objectivity they might aspire to, but in the process of reading widely and analytically they learn things about good writing. Perhaps we writers want to think that our literary judges should be literary Solomons, and they never are. At best they are intelligent and passionate readers. At best they are well and widely read. And if we believe that contests can call attention to fine writing, then let us all hope that the judges, whatever their literary prejudices, are pros. Undoubtedly your experience as former fiction editor for Grain will be helpful in carefully reading the dozen or so stories that make it to you. 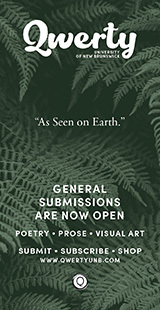 What will you be looking for in creative nonfiction submissions? I want a narrative so staggering in its content, so brilliant in conception, so reverberant in execution, so wise and deeply affecting that I read it with my mouth open. Oh yes, and I'm pretty big on clarity. You write—and therefore likely read—broadly across genres. 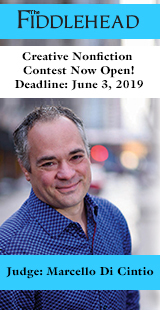 Your most recent work includes two volumes of essays on literary writing in Saskatchewan called The Literary History of Saskatchewan, the first of which has recently been nominated for a Publishing in Education award. Both A Hunter’s Confession (creative nonfiction) and Welcome to Canada (novellas and short stories) were very well received. And you mention writing the odd poem on your blog, too! What keeps you rotating between the different genres? And what project(s) are you currently working on? What drives me to go back and forth through the genres? 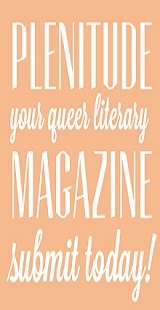 It's all just writing, I suppose, but each genre offers a certain kind of fascination, a very specific sort of pleasure. Writing short stories is not easy work, but at least I can come up with a first draft within a week or two. I wish I could have more of those weeks. Novels, for me, are heavy lifting. Obsessively engaging but very hard work. After spending years on a novel I need a break, and that's when I turn to nonfiction writing. I'm not saying that nonfiction is easy or a lesser art form because it requires less imagination; I find that the writing of nonfiction is a great joy. I spend most of my time blissfully reading through the stacks, or googling, or talking with people who know things I want to know about. After a long bout of research, which for me is almost never depressing, I sit down and write. I never write about anything that doesn't fascinate me. I don't have to invent a voice to tell my story, and I don't have to invent characters and try to breathe life into them. The writing comes pretty fast. For me, poetry is the toughest kind of writing. I am not naturally inclined towards compression. I am not a career poet; I'm just a man who likes to write the stuff. If I can write a poem that, one or two years later, doesn't embarrass me, I consider my time well spent. I'm at my worst as a poet when I try to rein in the process unduly. I'm at my best when I let it gallop wherever it wants to go. This is either good or bad advice for poets. Right now I'm about to fix up an advance draft of a novel entitled The Gold. I'll do this work over the winter at Haig-Brown House on Vancouver Island. Between drafts I've been pecking away at the true story of an old trapper who survived a harrowing six years at a residential school. This book is due out in March of 2015. 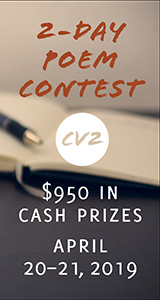 What’s your take on writing contests, their value, their ubiquity today? 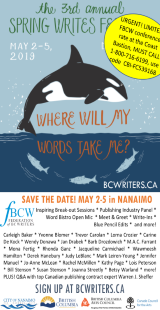 We’ve certainly seen many emerging writers comment on how important contests have been for launching their careers; what are your thoughts, given your unique, longer-term perspective on writing in Canada? For me, writing almost every day in my study is an enormous gift. Even on bad days I love it. But being an author is something else entirely. I have chosen a vocation with very few perks at a time when getting published in book form is very challenging and poorly paid. Anything that can help writers out, any form of encouragement from out there, from people who aren't their spouses or their mothers, is to be cherished. Contests are a way of getting your work read by complete strangers who, much of the time, are seasoned professionals. The contests challenge you to extend yourself. And even when you don't get the brass ring, which is most of the time, you've sent your message to someone who cares about good writing. So, if there’s a storm starting outside, and you might need to buckle down for a few hours, what book(s) would you want to keep you company, along with a flashlight, water, and hot chocolate? I ask this question because oftentimes we heard that “writers are who they read.” I’m curious about who you’ve been reading lately, and/or if there are staples that you frequently return to. My read-it-in-a-storm book used to be Ulysses, but there is so much slogging between epiphanies that I turned instead to Faulkner's Go Down, Moses. That was a long time ago. Over the spring and summer I have been reading, in no particular order, Marilynne Robinson's Home, Mark Spragg's The Fruit of Stone, Flannery O'Connor's book of essays, Mystery & Manners, re-reading Alice Munro's Open Secrets (another big storm refuge), Donna Tartt's Goldfinch, George Saunders' Tenth of December, Alan Lightman's The Accidental Universe, Trevor Herriot's The Road is How, Alice Kuipers' The Worst Thing She Ever Did, John Valliant's The Tiger, and David Margoshes' God Telling a Joke. In a different type of interview I could tell you about the ones I either hated or gave up on. The "great staple" I return to most frequently has been David Mitchell. Ask another year, you'll get another list.